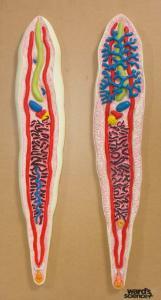 Get a better view of the minute details of the liver fluke with two durable urethane models on one plaque. 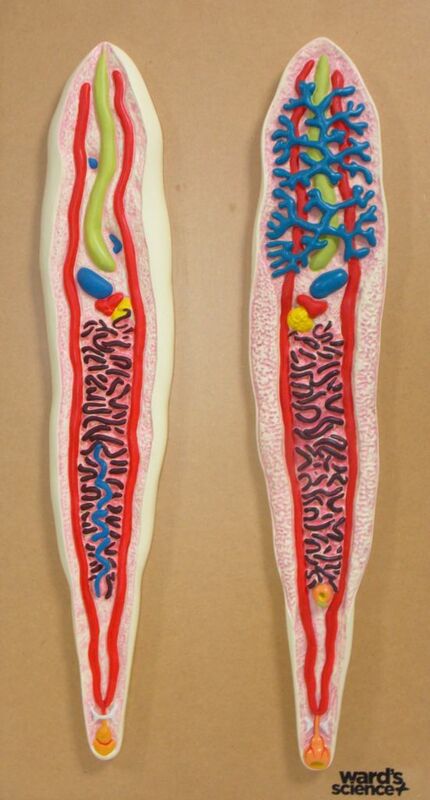 Featuring exquisite coloring highlighting the internal structures, the models are ideal supplements to microscope slide study of the organism. The ventral and dorsal dissections each measure 20" long and 4" wide.